Questions about Stack Exchange in general belong at Meta Stack Exchange. 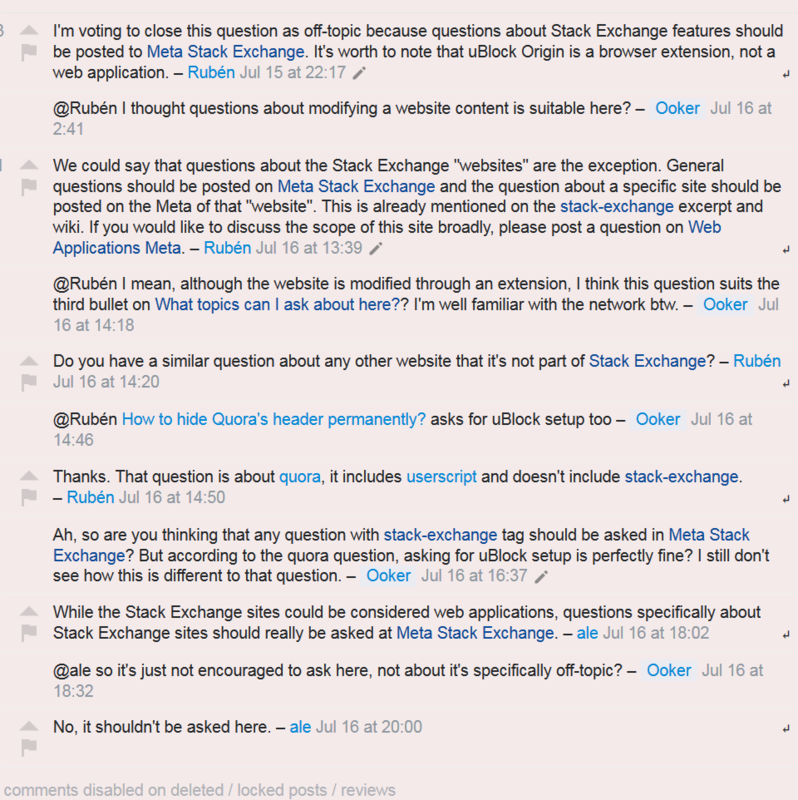 Questions about a specific Stack Exchange site belong on that site's Meta. This applies to any kind of question. We don't want to play logic game here. I think that the stack-exchange excerpt and wiki are fine. I think that it's a good idea to include on help/on-topic that questions about Stack Exchange should be made on Meta SE and about each site on the corresponding meta site because the tag "could" be lost (I think that the diamond moderators could prevent that), but I don't like the suggested phrase about the ban in the tag. Are Stack Exchange sites web apps? Why in the world do we have [stack-exchange]? Not the answer you're looking for? Browse other questions tagged discussion scope tag-wiki stackexchange . Are questions about creating websites on- or off-topic? Are questions about piracy off-topic here? Are API answers to non-API questions appropriate here? Should questions about Google Apps Scripts be allowed on WebApps? Should github.com questions be asked here? Is Web Applications still the best stop for bookmarklets?